By the Hoary Hosts of Hoggoth! If you know me, you know that I'm quite the fan of a certain master of the mystic arts in the Marvel Universe. Stephen Strange, aka Doctor Strange, is the one and only Sorcerer Supreme of the 616 universe, fighting an eternal battle to protect the innocent from the forces of evil. While it has been known for some time now that a Doctor Strange film is in its developmental stages, no word has previously been released about which lucky actor would take up the mantle of Sorcerer Supreme. Well... Until now. 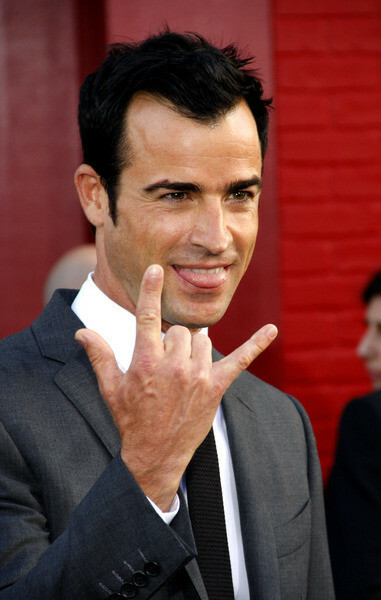 CHUD.com recently let word out that Marvel has expressed interest in having Justin Theroux on-board for the Doctor Strange film project. Theroux, who is an American actor, director, and screenwriter, has worked with Marvel Studios before, having written the script for the 2010 film Iron Man 2. It is still unclear at this time what Marvel Studios actually wants with Theroux (screenplay or actor... or both), though speculation by fans has mostly been geared towards sizing him up for the role of Stephen Strange itself. Talks of his resemblance to the character, his acting skill, his personality, and other qualities important to portraying a superhero have been spread like wildfire in the short time that this rumor has surfaced. Well, as a devout Doctor Strange follower, I'm here to put my two cents in, as well. In all honesty, the Doctor Strange "look" really isn't that difficult to nail. Plenty of suggestions from Johnny Depp to Patrick Dempsey have been bounced around, and they all, more or less, fit the bill quite well. Doctor Strange is an attractive Caucasian male in his early forties. Theroux, who is forty-one, is pretty much that. Throw in a nicely trimmed beard, and the man's got the look down pretty well. No complaints here. Honestly, clips of Justin Theroux acting on the internet are few and far between. That being said, the clips I did find point towards some pretty good work. The above is a compilation of scenes he did in the 2000 film American Psycho. Arrogance is certainly something that I see in this particular role and is something that Stephen Strange does exude many times, especially in his former life as a big-time neurosurgeon. Still, without any substantial material to really judge him on, I'm going to raise an eyebrow on the acting bit. But, who knows? We've seen obscure actors and actresses "wow" us in the past countless times. Who's to say that Theroux won't blow our minds, too? But, seriously, Theroux seems like an all-around decent guy. He's been dating Jennifer Aniston for almost two years now, and the two were recently engaged. I'll give him some credit for being in a celebrity relationship that long. On top of that, as previously mentioned, the guy has prior experience working in the comic book movie world. As the script writer for Iron Man 2, Theroux not only has worked with Marvel Studios before, but he's also delved personally into the inner-workings of a superhero. Theroux has also dipped his feet into comic book writing also, having worked on Iron Man: Public Identity, which was set after the first Iron Man film and before the second. 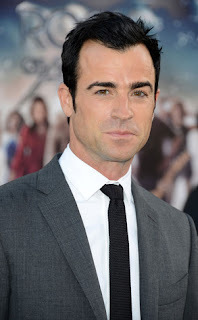 All in all, I think I can say, for now, that I would be pretty happy with Justin Theroux battling the likes of Dormammu in a Doctor Strange film. The guy seems like he could slip into Strange's tights quite nicely. What do you think? Comment below or Tweet me @DrStrangeMD!